Our 23 private wooded and rolling acres launch you back, somewhere in time, to your magical appointment with destiny. 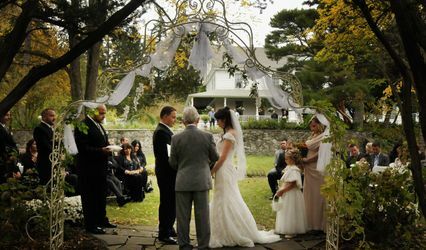 The 1896 Summer House has very recently been re-purposed as an extraordinary wedding locale for discerning couples. If you are looking for a indoor/outdoor country wedding look no further. 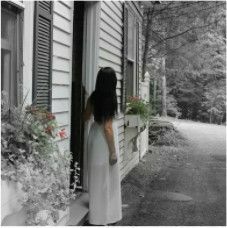 Our 23 private wooded and rolling acres launch you back, somewhere in time, to your magical appointment with destiny. 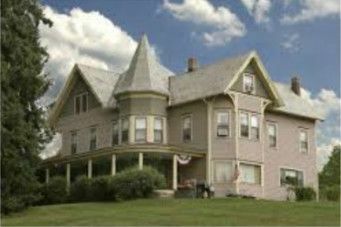 1896 Summer House hosts country elegant and unique Catskill Mountain weddings and events in all four seasons. Your amazing day : -Get ready in the private retro Cottage - with plenty of mirrors! 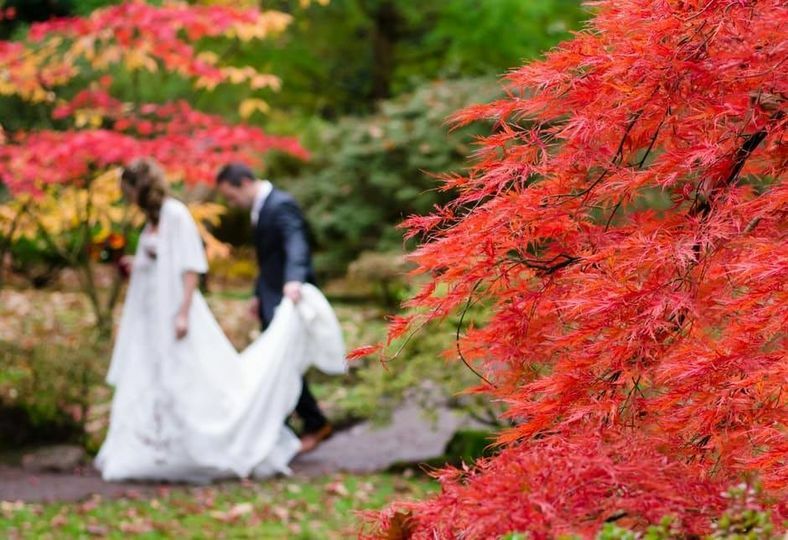 -Take your vows outside next to the stream, in front of our extraordinary Winter Garden Wall, in the gazebo or outdoors in our forest glade - or wherever you like on our stunning 23 acres. 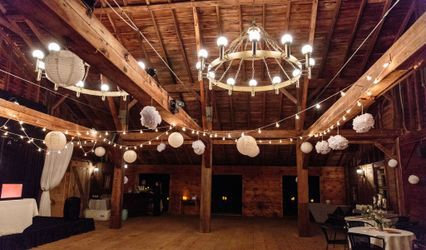 -Your dance party will be fabulous in the rustic and elegant Wedding Barn! - Late night campfire & sparklers anyone? -Wedding night suite with champagne and breakfast basket. Truly a serene and romantic location for a wedding. 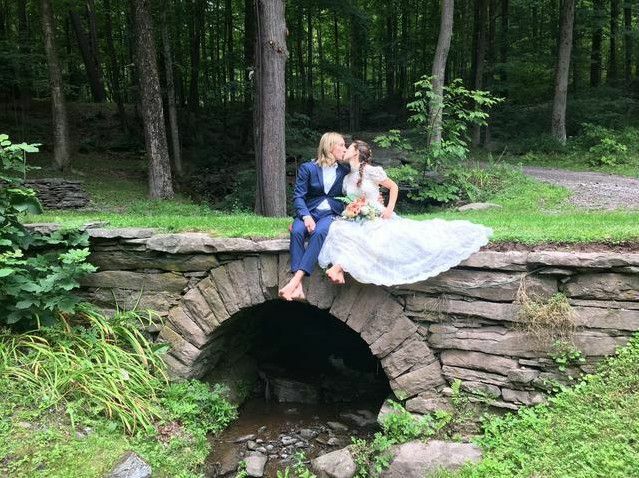 Lush forests, clear streams, slate walls, a stone bridge and the untouched landscape provide for outstanding photo opportunities throughout the event and the huge estate gives the couple plenty of options for the wedding ceremony, cocktail hour and reception sites. The venue can accommodate between 50 to 140 guests. Ceremony in the Woods. 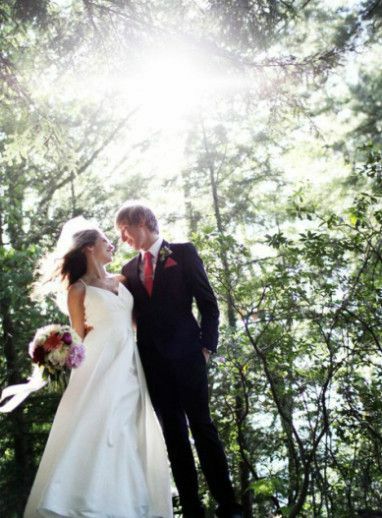 Couples can exchange vows while surrounded by lush trees at the ceremony site in the woods. A natural pine chapel provides a beautiful backdrop for the event. Streamside Gazebo. 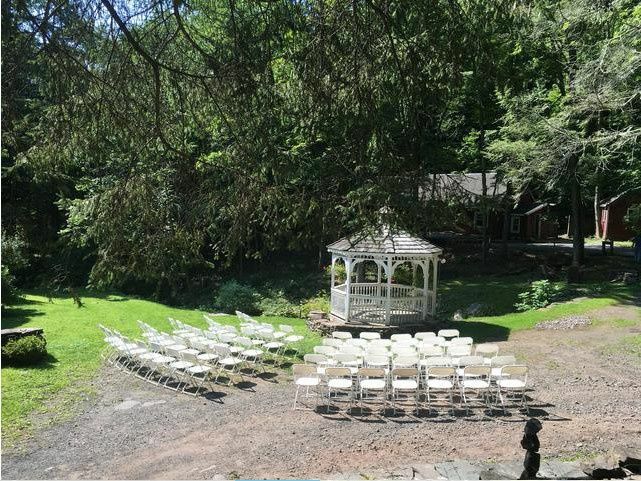 The rustic white gazebo is another great place to hold a wedding ceremony. 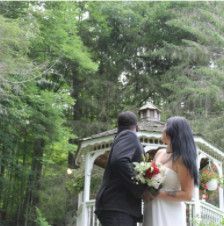 The couple can get married in the gazebo or near the stream in front of the stone bridge. Winter Garden Wall. Another great site for the ceremony and cocktail hour, the Winter Garden Wall includes white lace drapery that serves as an alter. Towering trees above the wall make a gorgeous background at this site, which can also be tented for shade. Wedding Barn. 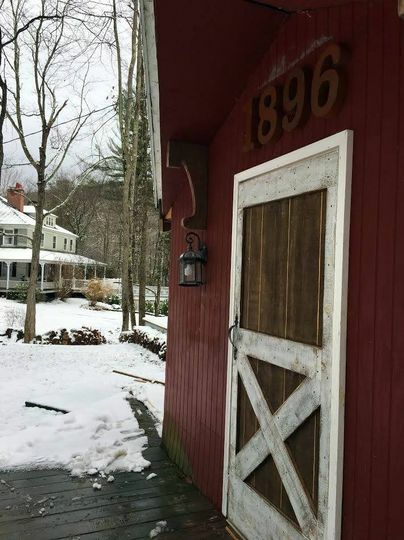 The most popular place for wedding receptions at 1896 Summer House, the rustic restored barn offers a 24-square-foot dance floor for guests to dance the night away. The large attached deck can be tented or left uncovered for additional space during the reception and can also be used for the ceremony or cocktail hour. Estate Grounds. 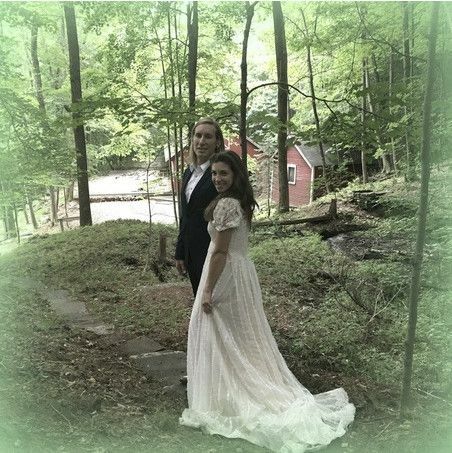 There are several other areas on the estate that can be tented for a wedding reception and many clearings in the woods that make beautiful ceremony sites. Couples can explore the 23 acres and choose the perfect place for their event. We very much look forward to meeting with you to plan the most magical day!